What a read! I was completely captivated by the story line! 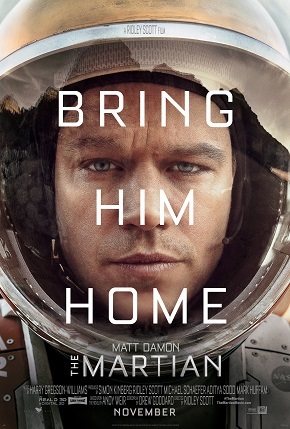 I couldn’t sleep until I knew whether Mark Watney made it home. Andy Weir’s 2011 novel The Martian is a Sci-Fi novel with a difference. It’s not one of those dystopic sagas, nor does it present a future phobic vision of life with automated life forms. Here is a story of a lone man's survival in the cold and apathetic terrain of the planet Mars. I must admit that I approached this novel with serious trepidation; a first time author with no creative writing credentials. However, reading the first chapter more than alleviated any doubts I may have had about Weir’s competence as a story teller. Not only is the story interesting, but also the manner by which this story cast itself into a printed novel. It’s astonishing how Weir produced this book. He did not intend to write a novel of any sorts. He was employed as a techie at NASA when he started writing blogposts about an astronaut Mark Watney, who mistakenly gets left behind on Mars. The online posts sequentially unraveled Watney’s journey on an inhospitable terrain. The instinct for survival keeps Watney going, each day being more difficult than the previous one. Watney clings on to the last shreds of hope; an impossible task indeed, knowing all the odds stacked against it: the fact that his fellow astronauts presumed him to be dead, he had limited provisions of water and Oxygen, he had no means of communication to call for help, the rations would run out way before any remotely possible rescue mission could be carried out. This fearsome yet absorbing tale of a man fighting for survival on the red planet unfolded and gained momentum on Weir’s blogposts, and it intrigued Weir’s readers to such an extent that they prodded him to self publish Watney’s story! The runaway success of "The Martian" surprised Weir himself : “ I had no idea it was going to do so well. The story had been available for free on my website for months and I assumed anyone who wanted to read it had already read it. A few readers had requested I post a Kindle version because it's easier to download that way. So I went ahead and did it, setting the price to the minimum Amazon would allow. As it sold more and more copies I just watched in awe.” Weir’s lucky phase was still not over because a movie deal and a print publishing deal followed suit all within a week and Andy Weir, a NASA engineer, became a literary celebrity. Was Watney's will to survive the driving force behind all his actions, or was it the hope of rescue that kept him going from one day to the next? Night Train to Lisbon - A Philosophical Movie.